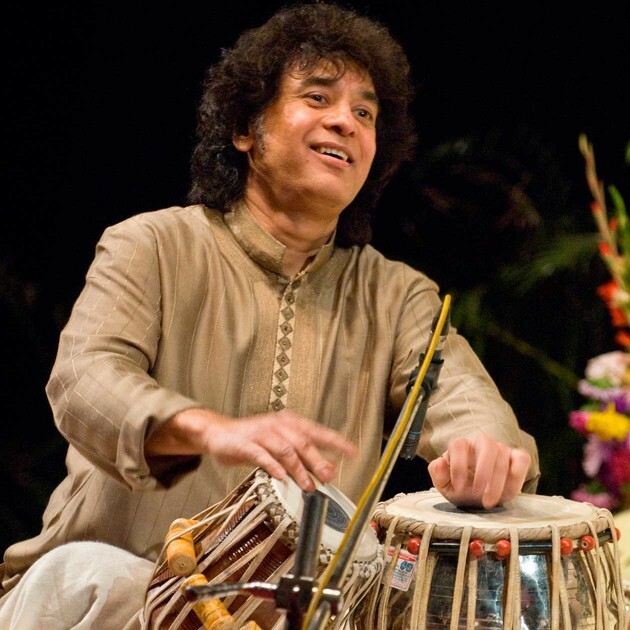 Today we revisit the interview of one of India’s most prolific tabla player who started out as a child prodigy, and has managed to take this humble instrument to unscaled heights. Interview first appeared in TOI. We’re seeing considerable debate on tolerance currently – is India a tolerant nation? I am proud to be an Indian. My wife is an American. I can get an American passport – i never went for it. I believe i am an Indian, my father believed it, because there is a deep-rooted connection with the culture and art of India that we are constantly aware of. At the time of Partition, many people went to Pakistan but we stayed here because we knew we were Indians. It really is unique, this beautiful, culturally rich nation of ours. We are peace-loving – and we need to hold on this harmony. We should not give anyone an opportunity to pit us against one another. But we are hearing many contrarian views. Have you faced any intolerance yourself ? Not at all. I am the quintessential Mumbai boy. I was brought up in Mahim. My father was the best tabla player i knew. His discipline and dedication were very inspirational. My parents were staunch followers of Islam. At home, after my morning prayers and riyaaz, i would go to a madrasa and pray. From there, i’d go to St Michael’s school, before which i would go to the chapel and say my hymns and novenas. In the evening, i used to go to a temple and then come home to learn tabla again. No priest or mullah prevented me from doing what i did – i was welcomed into every house of God and i felt blessed in each place. I grew up with this multireligious faith imbibed in me. Harmony is within us – only when we allow the outside world to disturb our inner peace, do we feel distanced from each other. Ghazal exponent Ghulam Ali’s concert in Mumbai was thwarted though – should political parties lay down boundaries for music? Music is global – it is actually beyond the boundaries of religion or nation. Political parties do have scores to settle and sadly, sometimes people beyond the ambit of petty politics also have to bear the brunt. Today, times are tough because certain segments of society are pitting one Indian against another – that is absolutely wrong. The media often adds fuel to this fire in order to increase its TRPs – that is where things need to be corrected. Religion is a way of life. Music is the way of life for me – therefore, it is my religion. And this religion encompasses all religions in the world. My father used to say, ‘I am a worshipper of Maa Saraswati. I love her and she loves me, that is it.’ He introduced me to Lord Ganesha’s pakhawaj, to Lord Shiva’s dumroo. Every religion preaches, ‘Love thy neighbour.’ I believe if you are kind to the people around you, you have practised your religion. You’ve taken your art to a global stage. What are the challenges you’ve overcome in your professional life? Well, the first challenge every artiste has to overcome is staleness in art. Tabla is about spontaneity. Sometimes, there is a creative block though which can be difficult to overcome. Being selfless on stage is another challenge – you know the audience has flocked to hear your rendition but it’s equally important to allow your fellow artiste to present his best. Another challenge for accomplished artistes is to know that you are not the best – i constantly strive to better myself. You were the original heart-throb of Indian classical music – is there anyone as cool as you now? What do you mean by ‘were’? I am the original heart-throb of Indian classical music even today! I wouldn’t want any young musician to be like me – they have to be better than me. I offered my best to audiences the world over. Today, i’m sure there are many young players out there who can play better than me – Indian music gives each an opportunity to create their own identity.